He may be used to that sense of being in between, but Ó doesn’t necessarily take it for granted. 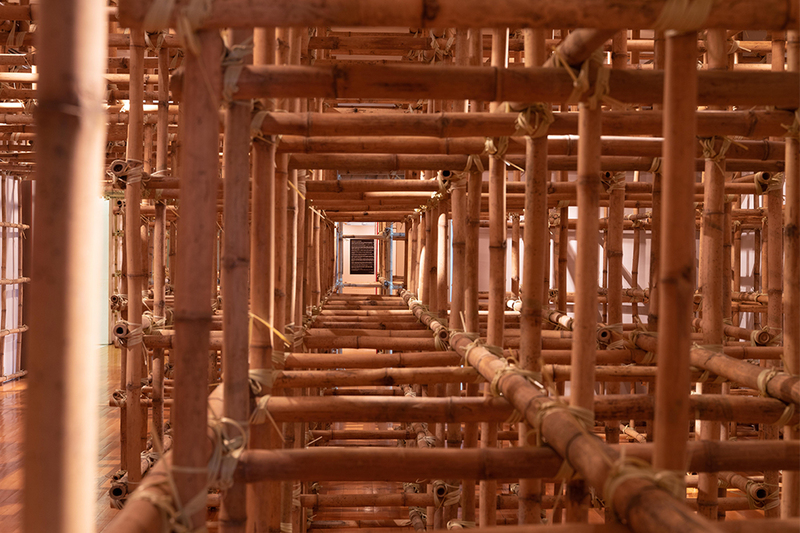 His bamboo art installations, usually made in collaboration with his partner, Rita Machado, find inspiration in the constantly shifting landscape of Macau. People in Hong Kong often think of Macau as a backwater, or as a more Old World kind of place whose narrow streets and colonial architecture speak to a long ago era, but the reality is that it has always been as restless as its much larger cousin across the water. That’s especially true now that it has spent years transforming itself into the world’s largest gambling destination. 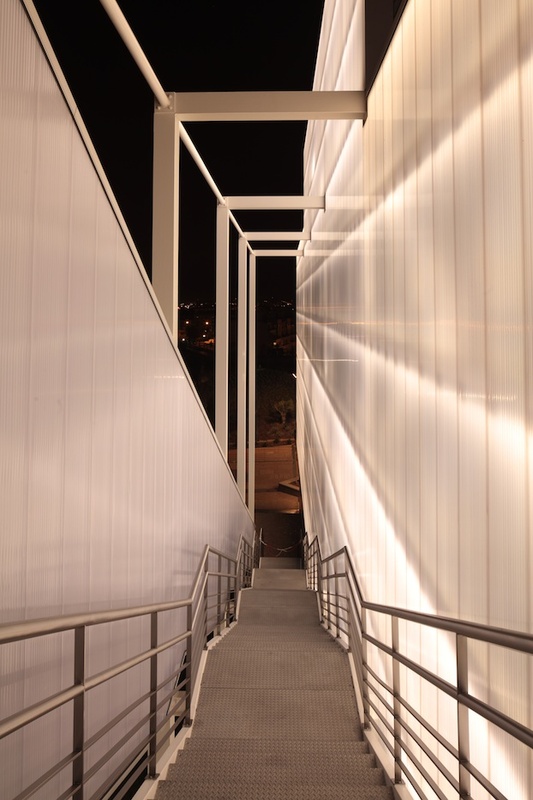 As he grew older, Ó studied at the local Portuguese school, a modern building clad in elaborately painted azulejo tiles. 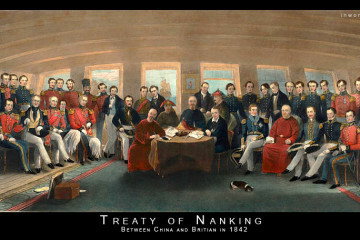 Although his classes were in Portuguese, most of his friends were local Chinese and Cantonese was the lingua franca in and out of school. “I thought in Chinese and translated it into Portuguese,” says Ó. He spent every summer living with his grandparents in Portugal. 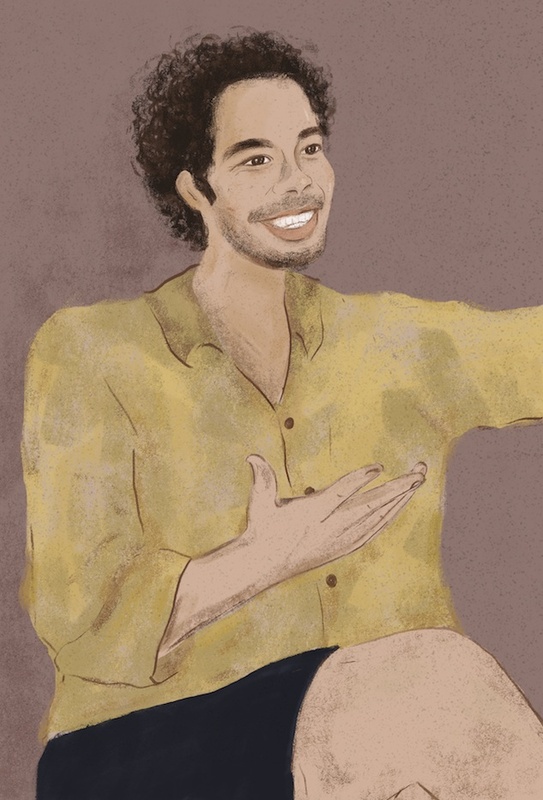 “That was my connection with my Portuguese roots,” he says, but in a way, it only served to underline just how much of a Macau person he really was. 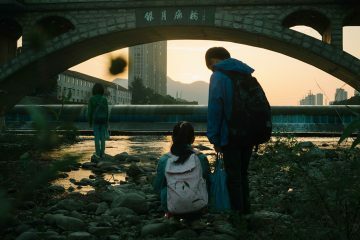 After returning to Macau to work for his parents’ architectural firm, Ó met Rita Machado, who was writing a university thesis on Macau land reclamation. “I was one of the people she interviewed,” he says. “We clicked in terms of personality.” They spent some time living in Barcelona and Lisbon before returning to Macau, where they launched their own practice, Impromptu Projects, in 2013. It was around that time that they began to experiment with bamboo. 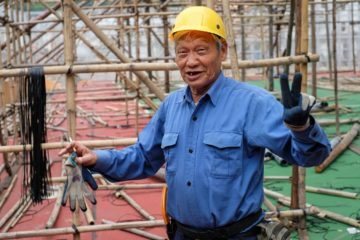 Ó and Machado live near the A Ma Temple, a 530-year-old place of worship dedicated to Tin Hau, and every year they witness bamboo theatres being built for festivals. “I went down from our house and began to analyse,” says Ó. “It’s so fast, so easy, so impactful – very simple bamboo rods that are used to build a spatial installation.” He began to chat with the bamboo masters, who offered to teach him their tried and true technique of tying bamboo rods together with plastic ties. As Ó continues to work as an architect, it can be refreshing to balance his years-long projects with something lighter and more nimble. “Instead of having something permanent, we document everything we can build during a period,” he says. It’s that documentation that becomes the real artwork rather than the structure itself. 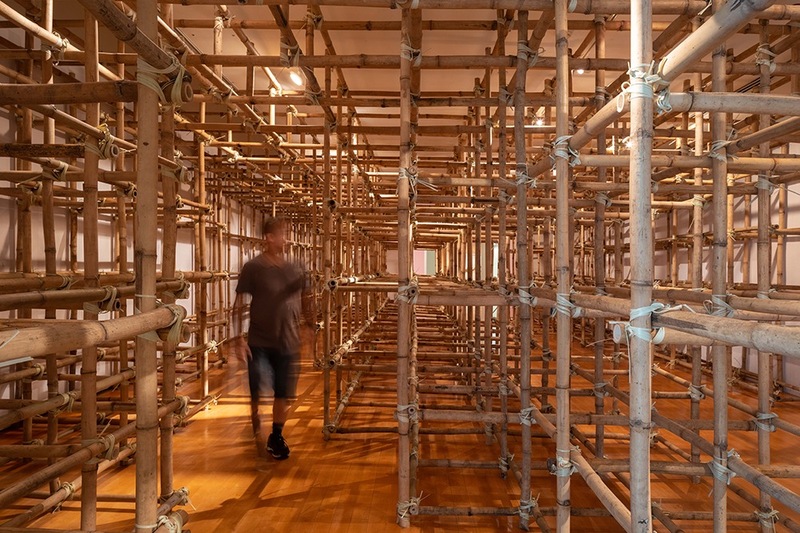 One of Ó and Machado’s first efforts was a bamboo canopy they erected on the campus of the University of Macau as part of the 2015 Macau Architecture Promenade, a public art programme. 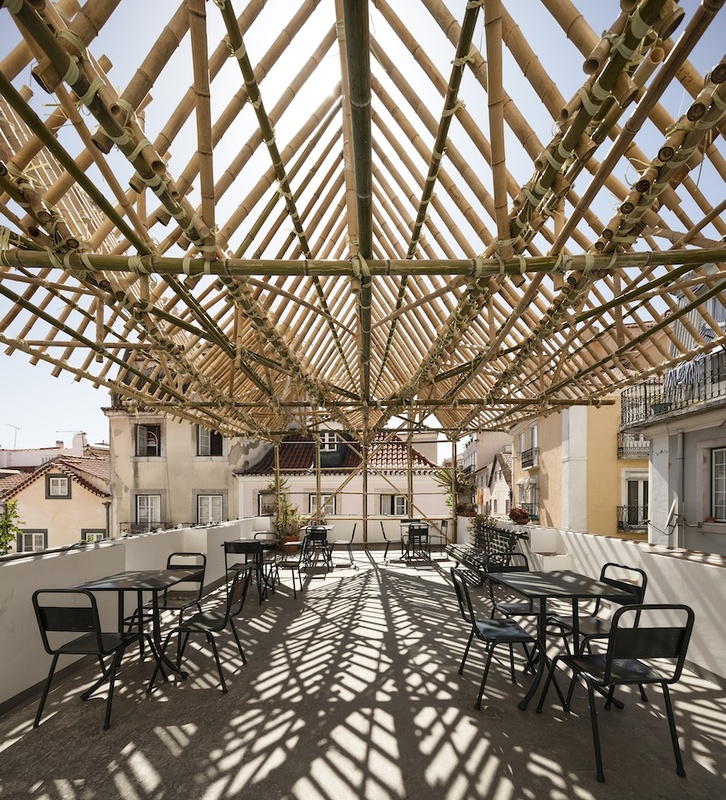 Made of a traditional grid of bamboo rods, the canopy gave the impression of a deconstructed bamboo theatre, its traditional enclosure opened and expanded to create a more diffuse kind of gathering space. “Bamboo is my medium and space is my canvas,” says Ó. 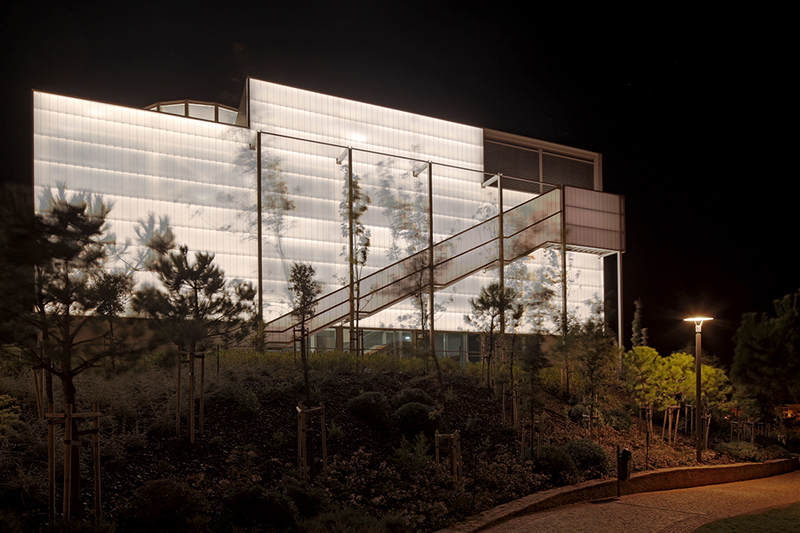 Later that year, Ó delivered something even more ambitious: Memory Palace, an exhibition that took over part of the Portuguese National Museum of Natural History in Lisbon. The show revolved around three abstract bamboo installations, including a light display, a rotating sculpture of bamboo curved into an infinite spiral and a series of bamboo corridors lined by maxims on friendship written by Matteo Ricci, a Jesuit missionary based in Macau who established a cultural bridge between Europe and China. Ricci was fluent in classical and standard written Chinese, and he created the first Chinese-language world map in 1602, placing the Middle Kingdom in an entirely new context. Born in what is now Italy in 1552, he journeyed to Macau in 1582, using it as a gateway to his mission in China, where he spread Christianity by reframing it in more Chinese and Confucian terms. In 1602, he became he first European to visit the Forbidden City in Beijing, and he worked on translating classical European works into Chinese and Confucian classics into Latin. 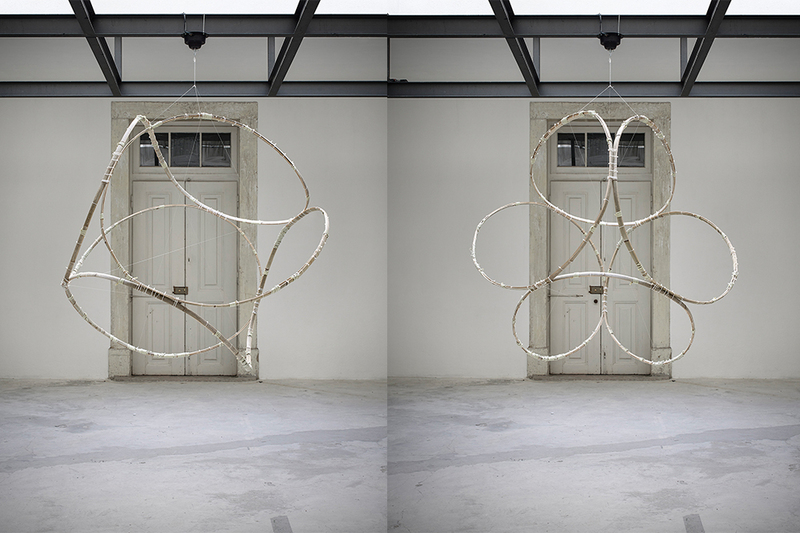 The works in Memory Palace were installed with the help of a group of bamboo craftsmen who flew from Macau to Lisbon. 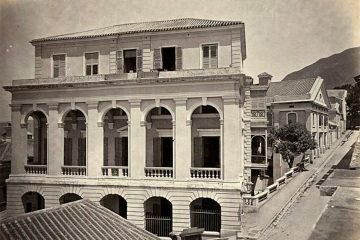 (He remembers they were surprised at how similar parts of Lisbon looked to Macau.) With its references to Macau’s early colonial history and its exploration of cultural and linguistic exchange, it felt as if Ó was exploring a part of his own identity through the exhibition. 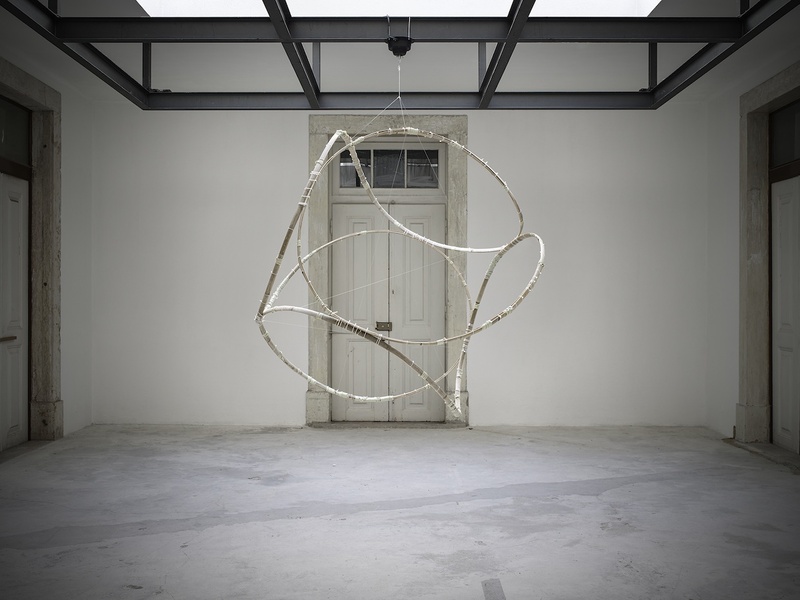 That’s something Ó continues to explore, not only through his own work (which recently appeared in the group show curated by Vhils and Pauline Foessel) but through that of Macau’s other artists. Since last year, he has been the curator of the Taipa Village Art Space, a non-profit art gallery. It gives him an additional creative outlet as he and Machado ramp up their architectural practice, which recently won some big contracts from the Macau government.